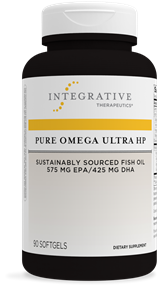 Pure Omega Ultra HP provides a total of 1085 mg omega-3s in one soft gel for those wanting the benefits of omega-3s in fewer soft gels. Pure Omega Liquid provides a total of 2300 mg omega-3s for those wanting the benefits of omega-3s in the convenience of a liquid. 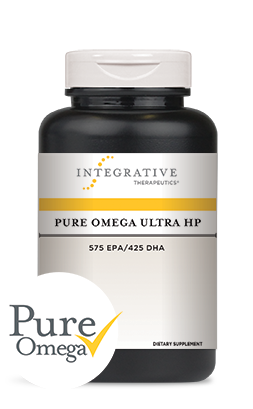 Pure Omega HP provides a total of 1,136 omega-3s in one soft gel. The Sourcing, Purification, and Production of Pure Omega fish oils. Take 1 softgel daily, or as recommended by your healthcare professional. Will there be fishy burb backs? No. Pure Omega is broken down within the stomach where the first stage of fat digestion occurs. Due to the purity and stability of the oil, the oil does not have a fishy taste or smell. If burping, in general, without a fishy taste occurs, consume the Pure Omega products with food. What types of fish are used? Where are the fish harvested? The fish are sustainably harvested within the Chilean waters and is certified as Friends of the Sea certification for anchovy from the Pacific Ocean for Sustainable Fisheries organization. 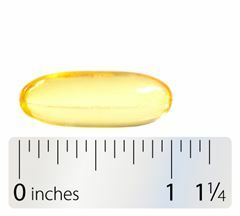 The fish oil is also able to be 100% traceable. What processing method is used? Are there any drug or nutrient interactions with fish oil supplements? Caution should be taken whenever recommending, or consuming, nutritional supplements. Healthcare professionals can use this drug-nutrient interaction checker to view potential interactions with fish oils. Patients should consult their preferred healthcare professional for any supplement questions. Do we perform radiation testing on Pure Omega fish oils? Yes, radiation testing is performed annually on three isotopes: Cs-134, Cs-137 and I-131.